A doula is there to support you regardless of how your birth unfolds. 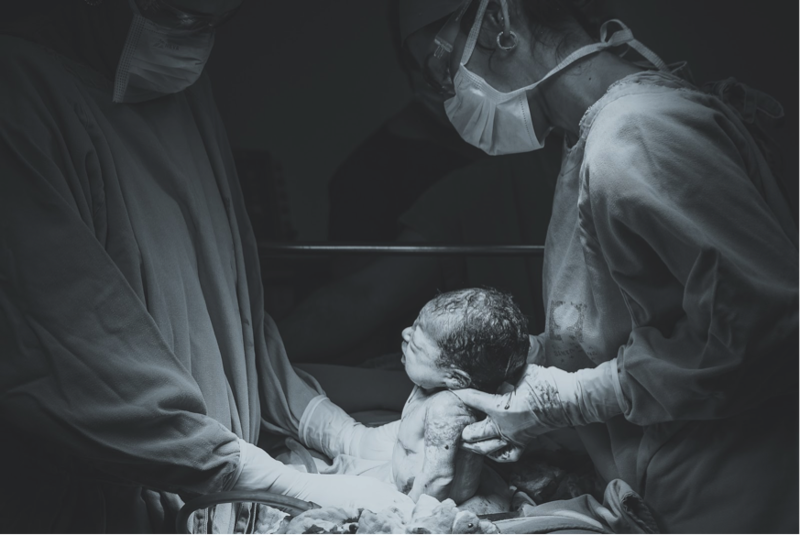 Whether the cesarean section is planned or unexpected, it can be a positive birthing experience for both mom and family and doulas can help. A doula is a person trained to provide continuous emotional, physical, and educational support from the start of the birthing process through the early postpartum period & beyond. Doulas are there to support you and your partner in making the journey into parenthood the best it can possibly be. During the period before the C-Section, your doula will provide you and your partner with a constant and supportive presence. She will ensure you have all the information about the cesarean procedure and recovery you want and answer any questions you have about what to expect. She will be there to provide your with comfort and ease your fears. She will walk you through what to expect before, during, and after delivery and help you understand understand what your options are. She will be there to help you settle into the hospital and feel at ease about the upcoming procedure. During the time of the C-Section, your doula will be there to help you and your partner remain calm. She will remind you of what to expect during the operation, what you will feel, and explain what is going on at your request. She will be there to answer your questions immediately. She will be there to provide distractions and comfort techniques such as holding your shoulders, whispering in your ear, and acknowledging you and your amazing journey to motherhood. If allowed by the hospital, she will support you in having immediate skin-to-skin or cheek-to-cheek contact with your baby right after delivery. She can even act as liaison between you and your family who may want to stay up to date on what is happening from the waiting room, or via phone. During the immediate time after the C-Section, your doula will be there to support you with post-operative comfort measures. She will help you process your feelings about your birth experience, make sure you are comfortable, and keep distractions to a minimum. She will give you strategies to bond with your new bundle of joy, help you find comfortable baby holding positions, and if it is your goal, help you with breastfeeding. Every birth story is a beautiful one. No matter how your baby is brought into the world, a doula is there to help that experience be surrounded by comfort and care. Every mother deserves unconditional love and support on the day she gives birth. Doulas help with every type of birth and is for every type of family. Limited Time Doula Scholarships Available!